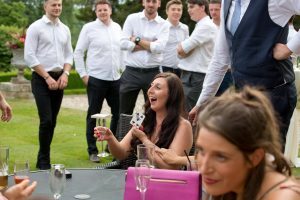 "Thank you Adam apc magic for an amazing night for our evening entertainment at our wedding every one loved it"
"Adam was the lucky magician we picked for our wedding day last November. Professional, polite and great talent. A real asset to any occasion in our opinion, brilliant fresh attitude to what can be very routine to some magicians as we saw at many fayers. 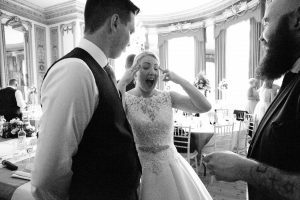 Very pleased to recommend Adam to anyone"
"Adam was fantastic at our wedding last year! 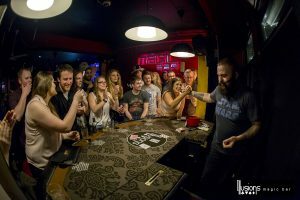 He was incredibly entertaining and kept everyone enthralled with his many tricks, at the end of the night he was being followed around by a group just wanting to see more and more! 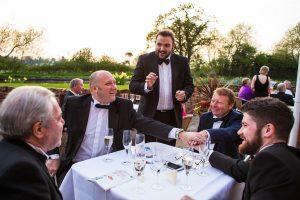 He provided entertainment before the meal, between the courses and in the down time between the afternoon reception and evening do but was very unobtrusive. Everyone commented how fantastic he was. Thank you Adam!" "Adam was superb - he's personable, talented and his magic is very clever. I recommend him and I'm very fussy and critical on who I like. The search is over - if you're looking for entertainment for any event or occasion, this is your man." "Can't thank Adam enough for entertaining everyone at our wedding!! He really has been the topic of conversation since. Absolutely lovely man and brilliant at what he does. He really does know how to wow a crowd!" "Wow! Adam you are amazing! From the moment we saw you at the wedding show at the showground we knew you were good! Thanks for being at our wedding reception and being amazing! So many if our guests commented how brilliant you were and it was just the interlude we wanted between the wedding breakfast and the evening. Would defo recommend you to anyone... Top chap and hope to see you again as you are so talented! Thank from me and the new Mrs Dix"
We hadn't considered a magician as part of our day but we had to put a deposit down there and then as we couldn't walk away! On our wedding day he looked the part and was very professional! He made our guests gasp, cheer and ask for more lol! It was so nice to see everyone completely obsessed as much as us! We got messages for days about how good he was....!! 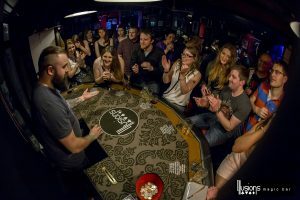 Also after we booked we did come across other magicians at events, even though they were good, their material didn't seem fresh or inventive! He stands out by miles! "We were looking for a magician, and came across APC (Adam) at a wedding fair. He showed us a card trick, and that was it! Absolutely stunned!! He showed up at our wedding and amazed our guests in an informal captivating kinda way, and was the talk of the guests for hours. So many of our guests came and asked me who he was and where to book him! Adam was an absolute delight to speak to, and was a very valuable part of our wedding! The only downside was we got rushed off for photos before he could show us more then one trick! But the card he let us take will stay in my wallet for ever! 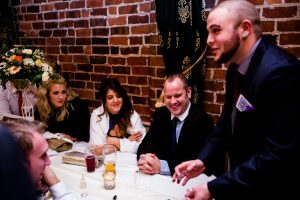 If your looking for a magician for any event, can I strongly suggest you give APC a look, and then book him!! You won’t be disappointed! "Absolutely magical!! Booked Adam for our wedding and he didn’t fail to disappoint. I’m still trying to work out what happened. I wouldn’t hesitate to recommend Adam for any event. All the guests were raving about him and the tricks Adam performed. Thank you for making our day truly magical!" 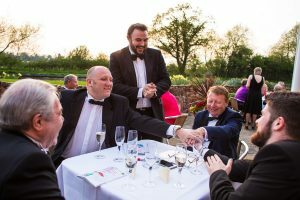 "Adam was excellent at our wedding, he made sure we enjoyed the first and last trick of the night before being whisked off by our guests and photographer. Even a couple of friends who didn’t quite get the whole magician at a wedding thing were converted to the world of magic and didn’t stop talking about it after. Was a great addition to our wedding while we were having photos our guests wee kept entertained. Thank you so much for helping make our wedding day special"
"We booked Adam for our wedding in July. Absolutely would recommend him. He is fantastic! Some tricks we just cannot figure out. All our guests loved him. He is talented, charismatic and funny. A real asset to have at an event"
"We got married in early September, and what can I say about Adam!? Well he is still the talk of our family and friends when they reminisce about our day!! He and his magic was by far a better way to spend our money than giving our guests little table favours. Watching everyone enjoy the entertainment was far more satisfying for us. His tricks were INSANE, and he's such a nice genuine guy too. Massive thank you Ad, if you don't have this man & his tricks at your wedding then your silly"
"Absolutely loved having Adam at our wedding!! Everyone said how amazing he was and how fab the tricks were!! 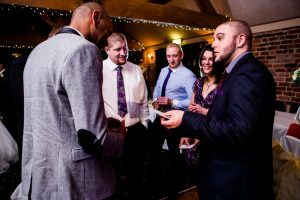 Loved having some magic done for just me and Sean when everyone else were waiting for the evening part to start! Great way to keep all ages entertained and would highly recommend Adam to attend any event!!"